In a clinical study with 17 patients, who suffered from sleep apnoea, which is defined as pauses in breathing during sleep, THC significantly improved this condition, scientists from the Department of Medicine of the University of Illinois at Chicago, USA, wrote in the journal Frontiers in Psychiatry. Patients included in the study presented with an apnoea hypopnoea index (AHI) of at least 15 per hour, which is defined as sleep apnoea of at least moderate intensity. The AHI is an index of sleep apnoea severity. The pauses in breathing must last for at least 10 seconds and are associated with a decrease in blood oxygenation. The starting dose was 2.5 mg THC once daily which was slowly increased until a maximum of 10 mg once daily. Measurements of apnoea index were performed on nights 7, 14 and 21 of dronabinol treatment. Change in apnoea hypopnoea index was significant in night 21 with a mean reduction of 14 per hour. There were no degradation of sleep architecture or serious adverse events. 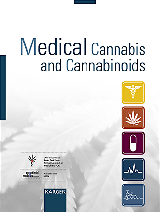 Scientists concluded that THC at doses of 2.5-10 mg daily is safe and well-tolerated by these patients and "significantly reduces AHI in the short-term." They recommend a larger study in order to identify patients, who may benefit from cannabinoid therapy. Parliament's upper house has approved legislation that makes it legal in the Czech Republic to use cannabis for medical treatment. The bill was already approved by the lower house in December. It still needs presidential approval. The lawmakers agreed in a 67-2 vote on 30 January that cannabis would be imported and later grown locally by registered firms licensed for such activity. Patients will need a prescription from a doctor to get the drug at pharmacies, and treatment will not be covered by health insurance. Patients wouldn't be allowed to grow cannabis at home. Americans for Safe Access will hold the National Medical Cannabis Unity Conference on 22-25 February 2013 in Washington D.C. For more information please visit the Conference Website. Last November voters in Colorado and Washington legalized cannabis, but the drug remains illegal under federal law. A new poll by Reason Foundation-Rupe finds an overwhelming number of Americans believe people should be free to use, grow and sell cannabis if their states have legalized the drug. U.S. states would be free to decide how to regulate cannabis just like beer and wine in accordance with federal law under legislation being proposed by two Democratic lawmakers. Earl Blumenauer of Oregon and Jared Polis of Colorado plan to introduce two bills in the House of Representatives. College of Veterinary Medicine, University of Tennessee, Knoxville, USA. 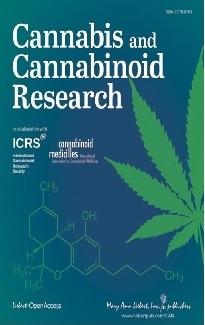 The natural plant cannabinoid CBD increased total sleep time and increased sleep latency, the time needed to fall asleep, in the light period of the day in rats. In the animals that received the highest dose the phase of deepest sleep (so-called slow-wave sleep) was increased. In a study with different groups of drug addicts cannabis users presented with high scores of verbal creativity and achieved the highest scores with respect to openness to experience and extraversion. Institute for Psychology, Karl-Franzens-University Graz, Austria. In a study with 66,941 adolescents tobacco and cannabis smoking negatively affected caries risk. University of Nevada, Las Vegas, School of Dental Medicine, USA.